What does anyone need with 1000 corn seeds? Kathy and I have been combing through seed catalogs since they started arriving in late November. Today we sat down and placed our orders. We ordered from 6 different companies (I think we have catalogs from 12+). Only those catalogs we ordered from. 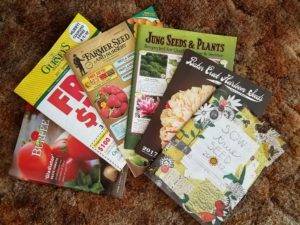 We ordered from Burpee, Gurneys, Farmer Seed and Nursery, Jung Seeds & Plants, Baker Creek Heirloom Seeds, and Sow True Seeds. If all goes according to plan this year we will have 20 different kinds of tomatoes 12+ peppers, 11 summer squash and 11 winter squash, 4 kinds of sweet corn, a variety of beets, radishes, turnips and carrots, Several kinds of lettuce, along with Swiss chard, collards, and mustard greens. Four kinds of sweet corn that we plan to stagger with 2 or 3 plantings so we have corn for at least 6 weeks. Green beans, spotted beans, long beans, peas, cucumbers, melons, and more. 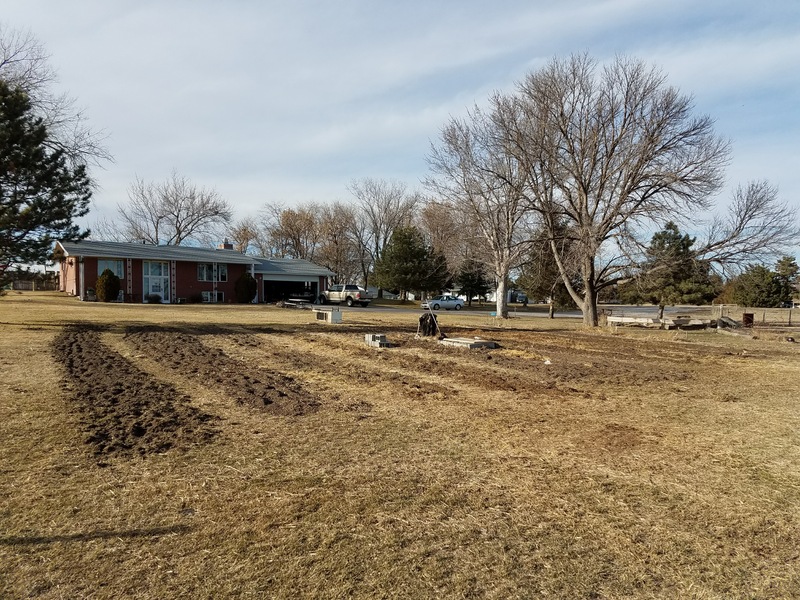 In addition to the seeds we ordered a variety of fruit and nut trees to add to the orchard. This year we also added grapes. I haven’t pulled the trigger on hops though. Our perennials production plants and trees are expanded every year. We still need to get onion sets and potatoes but will likely buy those locally to save on shipping costs, especially the potatoes. Those things are heavy. 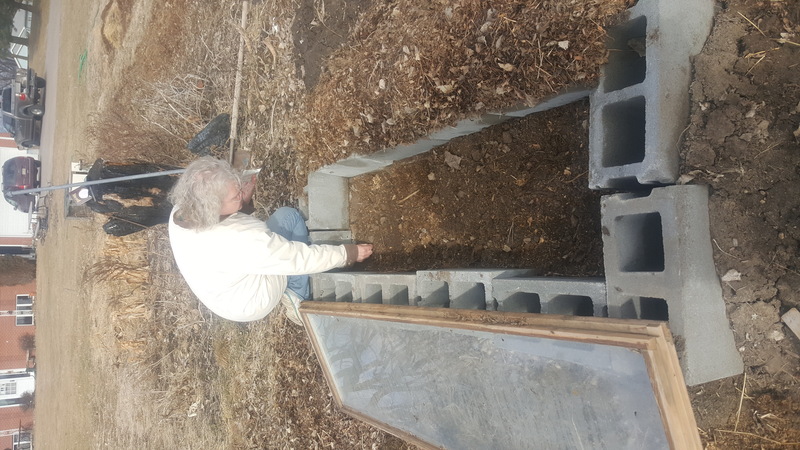 Kathy planting for the first time in our cold frame. 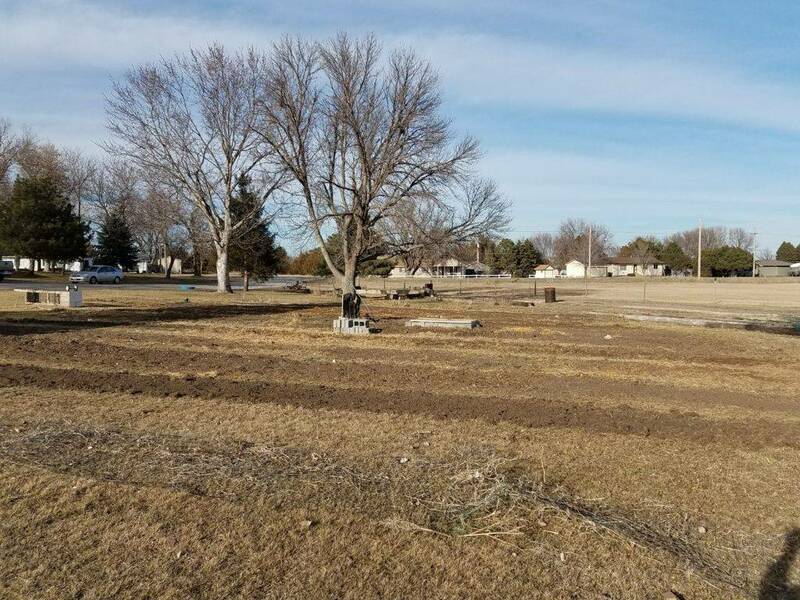 are about 12 foot long that run from northeast to southwest instead of just long rows running from the northwest to southeast. Hopefully the combination works. You can see the new layout here. We are trying an online garden planner (Grow Veg). So far I really like it. Hopefully it will stick around so that we can continue to use it in future years so we can manage our crop rotations. 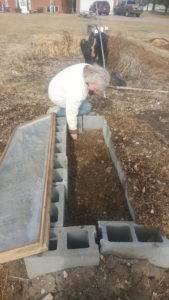 This year we plan to have rhubarb, strawberries and asparagus early in the year. Our first pickup should be in late May. We think we may have found a source for wholesale plants this year and it looks like they will plant our seed so we will even have the varieties we are hoping for. You can view our CSA member agreement here: GI Acres CSA Member Agreement 2017. Please return this with your order. If you want to update your 2016 membership and claim your 2017 membership or if you want to join up today for the 2017 season click HERE! Below you can see pictures of our 2017 shares.